Originally released in the UK in June 1977 BE MY WIFE was the 2nd and last single to be taken from the groundbreaking album LOW, the first of the so-called ‘Berlin Trilogy’ of albums. The video for the track, which was Bowie’s first since 1973’s Life On Mars?, was directed by Stanley Dorfman the original producer & director of the BBC’s Top of The Pops. The AA of the 7” picture disc is a previously unreleased live version of the instrumental LOW track ART DECADE recorded in Perth, Australia in 1978 during the ISOLAR II tour. 20 years on from their first release the track and the sleeve imagery have a renewed resonance and currency in 2017. 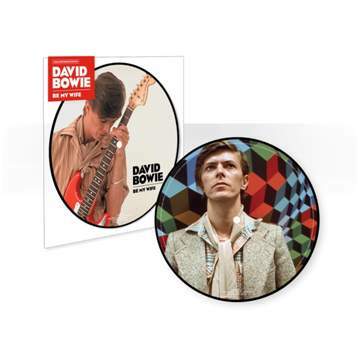 The images used on the A and B sides of the picture disc are by Christian Simonpietri and were taken in Paris in June 1977.